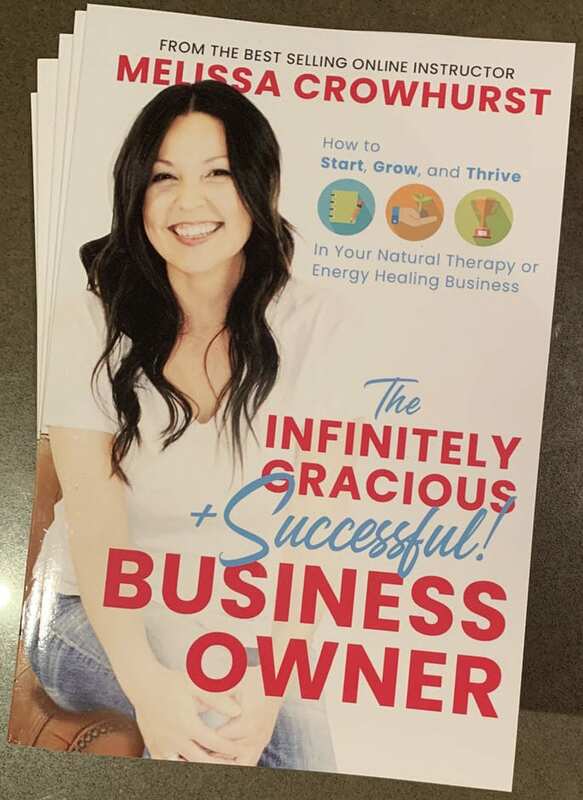 Order Melissa's Infinitely Gracious Business Owner book! Click here. Looking for seriously good help on starting or growing your business in Reiki, energy healing, or another natural therapy? Or perhaps you’re one of Melissa’s students who would like a “hard copy” of your course book? 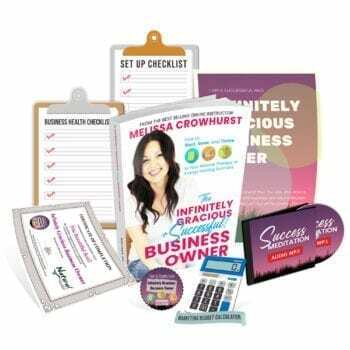 By ordering a copy of Melissa’s Infinitely Gracious + Successful Business Owner book you’ll be able to learn all the steps to train, prepare, plan, set-up and grow your business! 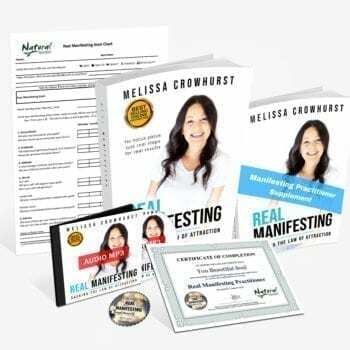 The information in the book is designed to help new business owners – as well as those already in operation – and includes guidance, tips and suggestions from Melissa’s over 25 years of “real world” business experience and skills. Grab this book and be ready to thrive! Start, grow, and thrive in your business! The passion for what you do (or want to do) is essential in order to become the master of your trade. And the dreams you have about success are integral in creating the pathway to your future. But skill and passion alone don’t make a successful business. Each day good people shut the doors on their business, not because they – or their ideas – weren’t worthy of it, but because they never planned to truly succeed. Thankfully, with Melissa’s 25-years of business experience, in what she calls being an ‘Infinitely Gracious Business Owner‘, she’s been able to demystify (as well as simplify!) the steps for business success! 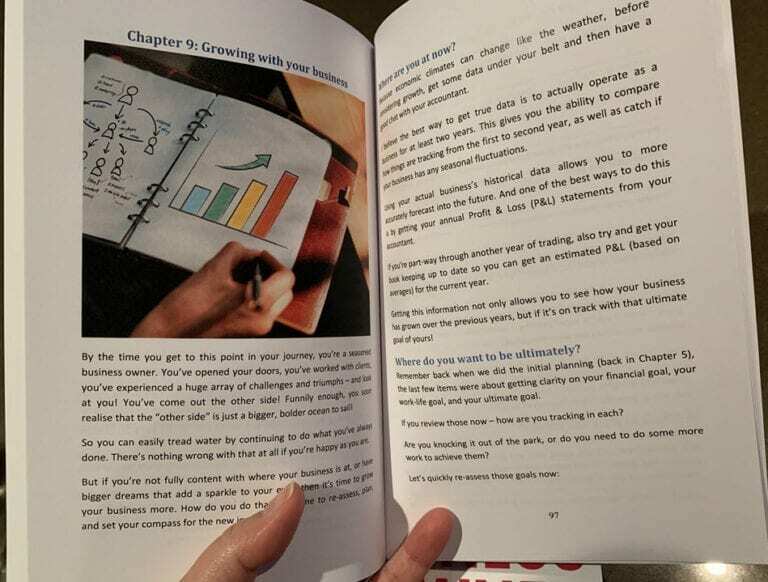 In these pages, Melissa not only explains how to combine your talent and excitement with planning and strategy, but she walks you through every step of your business journey! 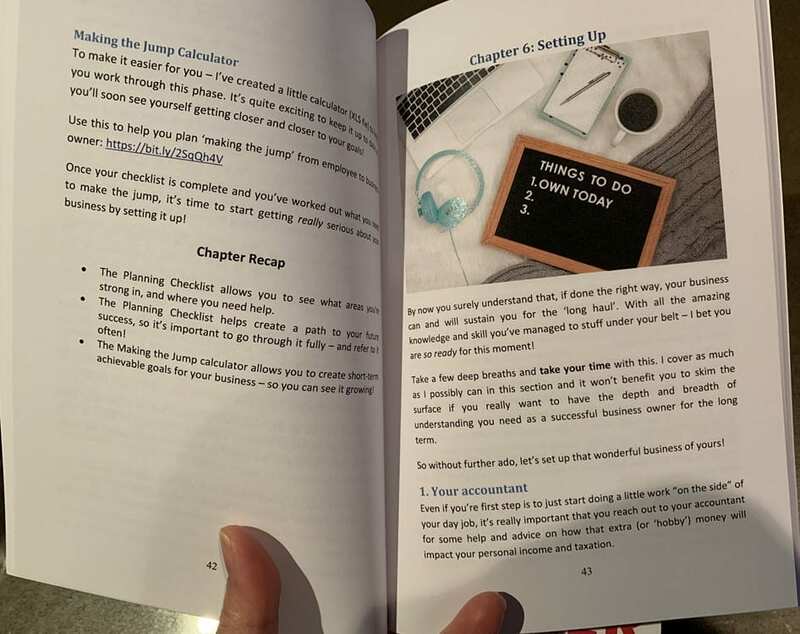 As you progress through the book, you’ll be able to get your business started, then watch it grow, and finally start celebrating those well-earned achievements. It’s time to start, grow, and thrive! Is this the same as the course book? This is the physical version of the course book provided with Melissa’s Infinitely Gracious Business Owner course. Whilst it includes everything you need to know to start, grow and thrive in your business, this “hard copy” version omits course-specific inclusions to obtain certification as it assumes the reader is not enrolled in the course. This means you’ll be able to effectively use all the techniques within this book, but purchasing it doesn’t ‘certify’ you as an Infinitely Gracious Business Owner (that is only available for those who complete the course). On the other hand, you don’t have to purchase this “hard copy” in order take the course because a PDF version of it (with course-specific inclusions) is provided with your enrollment. But if you like to have a “real” book to hold and refer to, then this book serves as a great complement to the course. Want to learn more about the author Melissa? Click here. Want Melissa to write a message to you? Would you like your book signed with a loving message from Melissa? Simply add the details of who you’d like the book signed to in the “order notes” section of the check-out page! If you don’t add any special notes, Melissa will just sign the book without a special message. Shipping is charged in addition to the book price. And depending on your location (eg. outside of Australia), the shipping options may be cheaper to order it on Amazon (but you won’t have the option to have it signed by Melissa if you order on Amazon). 3 – 5 business days for delivery within Australia. 2 – 4 weeks for delivery outside of Australia, depending on your location. We’ll email a shipping confirmation once it’s been posted. If you’re ready to start your journey to business success with Melissa’s Infinitely Gracious + Successful Business Owner book, be sure to click the add to cart button! If you have any questions be sure to check out our FAQ and refund policy here; or to reach out and contact us here anytime!